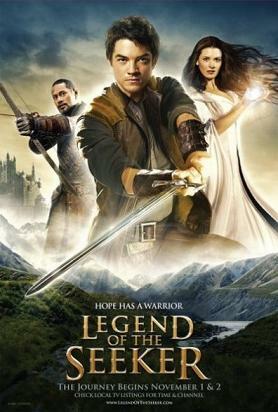 This week, we’ll be finishing off Legend of the Seeker, the second (and final) season. Our hero Richard Cypher searches for the Stone of Tears so that he can seal the veil to the Underworld and prevent the Keeper from destroying all life, but things are looking grim. The location of the Stone is long-lost to living memories, and to make matters worse, prophecies from the Creator foretell doom and gloom should the Seeker ever actually find the Stone. Could this be the end of the line for Richard? Come along to find out. 5pm Friday in Red Centre G001. Lastly, we’re always on the lookout for suggestions to make SpockSoc better. I’ve never actually seen more than maybe a third of our members at any screening, and I’d like to know how we can attract more people. Are we just not on at a good time? Was sitting in a room watching TV series not quite what you had in mind when you joined the club? Drop me an e-mail. Suggestions for possible summer screenings also welcome. Otherwise, see you at our O-Week stall next year?